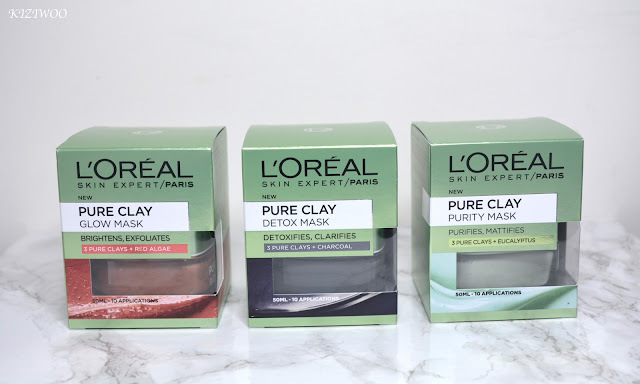 For the first time ever L'Oreal has launched face masks! 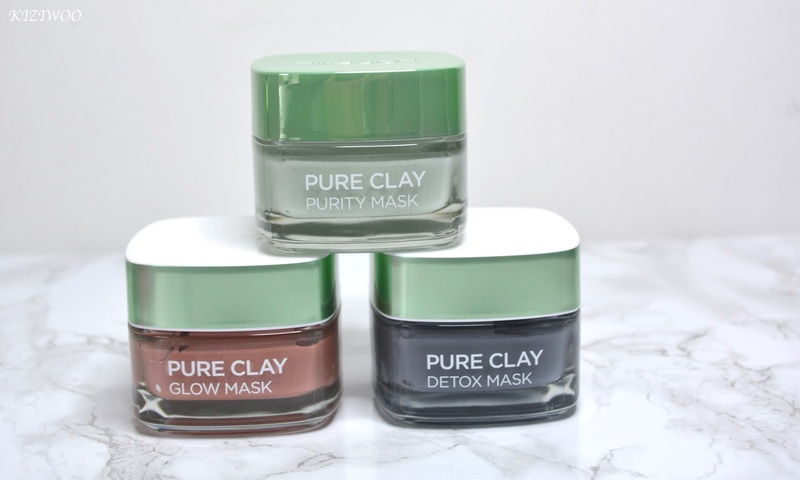 The Pure Clay Mask's, are designed to target specific skin requirements. Each contains a blend of pure clays and unique natural ingredients. These are beautifully packaged in glass jars, giving them a luxurious feel. Each jar contains 50ml of mask, which according to the box is 10 full face applications (I'll test this theory). The masks are designed to be used for a full face application or you can mix and match to target certain areas of your face. I like to use the Glow Mask on my cheeks, Detox Mask across my nose and Purity Mask on my forehead and chin. Glow Mask contains Red Algae, for its brightening properties and works to uneven skin tone. The beaded, creamy texture illuminates tone by exfoliating the skin's surface, leaving your skin looks brighter and fresher. Detox Mask has Charcoal which acts like a magnet to draw out impurities and clarify normal, congested skin. The creamy texture detoxifies the skin's surface by cleansing deep into the pores, leaving the skin looking clarified and beautified without drying it out. Purity Mask uses Eucalyptus, which is known for its purifying properties, penetrates deep into the pores to purify and mattify oily, shiny skin. The creamy texture works deep into the pores, leaving skin purified and matte-looking in just one week. Yay, how nice that you're seeing such good results!